Update to the ongoing quest by neuroscientists to manipulate human thought … and what we can do to combat it. The race to decode the brain continues, and quickens by the day. A wild array of new possibilities are opening in the field of mind control. The mind control of the future forgoes all pretense at indirectly altering perception through media and politics, or even mind-altering drugs and environmental toxins. The mind control of the future goes straight into direct programming and rewiring of the human brain. These new mind control techniques are being introduced in gadgets that create a brain-computer interface, magnetic manipulation via “neural dust,” and even the direct uploading of the contents of our brain. One must then consider the subsequent hacking of our minds in the digital realm. Memory research is a key component of this as well, and neuroscientists are making great strides to ensure that our memories are destined to become fully controllable. Our memories help us form our identity: who we are relative to where we have been. Positive or negative lessons from the past can be integrated into our present decisions, thus enabling us to form sound strategies and behaviors that can aid us in our quest for personal evolution. But what if we never knew what memories were real or false? What if our entire narrative was changed by having our life’s events restructured? Or what if there were memories that were traumatic enough to be buried as a mechanism of sanity preservation, only to be brought back to us in a lab? 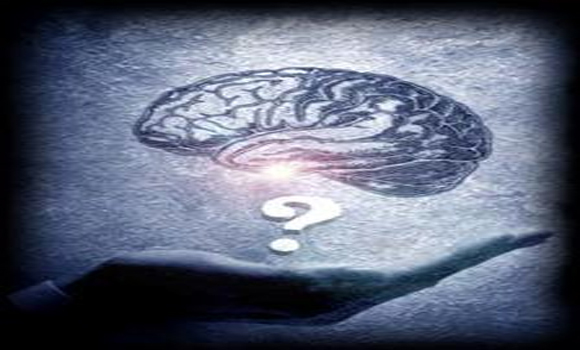 The latest research indicates a disturbing quest by technocrats and reductionists to interfere with this human cognition and even deliberately plant false memories, or create entirely new ones. The military already has openly discussed a desire to erase the memories of soldiers through pills or direct brain implants for those suffering from Post Traumatic Stress Disorder. This is seen as a viable solution, rather than investigate and ameliorate the horrific events which have put soldiers into stressful situations to begin with. Multi-tour soldiers are more suicidal than ever before, and military researchers would like to rewire their brains, as opposed to rework our current understanding of war and peace. Damn the ethics; science continues full throttle, largely at the behest of military ideology and funding. The proverbial canary in the coal mine has transformed into lab animal. Apparently, until humanoid robots can be released full force, they need to create the best human facsimile possible. The researchers place a mouse in a brand new environment. As the mouse explores this environment (Place A), new memories are created in the hippocampus (the region of the mammalian brain that we know is deeply involved with memory formation). In Place A, the mouse has the time of its life. The mouse is then relocated to a different environment (Place B). While in Place B, the neuroscientists stimulate the memory of Place A using optogenetics . . . while simultaneously delivering electric shocks to the mouse’s feet, causing fear and pain. Then, when the mouse is returned to Place A, it freezes in fear. This is because the mouse’s brain has somehow confused the fear of electric shocks in Place B with its memory of Place A — in other words, a false memory has been created. What you have just read is a form of trauma-based mind control. A literal on/off switch to produce fear. The human brain is exquisitely adept at linking seemingly random details into a cohesive memory that can trigger myriad associations—some good, some not so good. For recovering addicts and individuals suffering from post-traumatic stress disorder (PTSD), unwanted memories can be devastating. Former meth addicts, for instance, report intense drug cravings triggered by associations with cigarettes, money, even gum (used to relieve dry mouth), pushing them back into the addiction they so desperately want to leave. The study, published online by the journal Cell Reports, focuses on a family of proteins called Wnts. These proteins send signals from the outside to the inside of a cell, inducing a cellular response crucial for many aspects of embryonic development, including stem cell differentiation, as well as for normal functioning of the adult brain. To create the memory, the researchers played a series of test tones to the rodent test subjects. When a specific tone played, the researchers stimulated the nucleus basalis, releasing acetylcholine (ACh). This jolt of ACh then causes the cerebral cortex to turn that specific tone into a memory. Later, when the rodents are played the same tone, their respiration spiked, showing they recognized the tone. The other tones, which weren’t subjected to a spike in ACh, did not cause the same reaction. This is a further sample of how thoughts can potentially be controlled from a distance and without the knowledge of the person toward whom the technology has been directed. Scientists at the University of California, San Diego School of Medicine have erased and successfully reactivated memories in rats, offering hope that the same can be achieved with humans. The study, published in the journal Nature, is the first to show the ability to selectively remove a memory and predictably reactivate it by stimulating nerves in the brain at frequencies that are known to weaken and strengthen synapses. The work builds on earlier research on NMDA receptors. Roberto Malinow, a professor of neurosciences and senior author of the study, said: “We can form a memory, erase that memory and we can reactivate it, at will, by applying a stimulus that selectively strengthens or weakens synaptic connections. This is part of the grand future of neuroscience, which is receiving funding from the $100 million BRAIN project in the U.S., and another $1.3 billion committed by Europe. We are already seeing some very unethical applications, like seeking ways to make people suffer eternally by distorting one’s sense of time. So how does one combat attempts at mind invasion? Obviously, while we still have the choice to consciously resist, we must do it with every fiber of our being. This includes not getting suckered into buying the benefits without being aware of how these techniques will become more widespread. This is not to say that there are no benefits, but until the ethics get properly sorted out, we must employ the cautionary principle first and foremost. First of all, we need to make the distinction between passive and active people. Passive people are either sedentary or going through the motions in life. They are easily controllable, and it doesn’t take sophisticated electronic measures to do the job. Television, a few tranquilizing drugs, peer pressure to conform, and the game is over. Such people will also mistake the invasion of outside thoughts for their own. It doesn’t really matter where the impulses come from or who delivers them. By active people, I mean those who are passionately pursuing conscious objectives. They know why they’re doing what they do. They have energy. They’re inventing their own futures. They’re aware of repressive forces in the world. Essentially, don’t live like a lab rat. Stay aware, be vigilant, and help empower others to develop a strong mind and a strong will that has harnessed the ability to remain free under any circumstances.